A woman confided in her friend that she is suspicious of her husband having an affair and want to stop it. The friend told her the trick she uses on her husband anytime she wants him to listen to her. This lady rejected the advice, and told the friend she would rather confront her husband. The lady's husband came home from work and she could sense he was angry, and when she asked what the problem was, she was shocked the friend went ahead with her plan! She was livid but pretended she didn't know what her husband was talking about, but he was not deceived. The next comment he made, sent shivers down her back, that she opened up to him, by the time he explained to her, she realized her suspicions were baseless. 'What was the trick and comment SM? C'mon, don't keep us in suspense'.......hmmmm...........*am enjoying all the attention*........ehehehehe.....ok! Just fooling around, today being a new month and all that, and soon December would be around the corner .... how fast........NI-TTY!!! OK! Ok! I heard, yo! By now you guys would have noticed 'yo' is the new slang I use often....result of watching movies everyday, and just as a kid gets a new toy.......N-I-T-T-Y! O-K!..... As I was saying....the friend called the lady's husband and told him about a revelation she had and decided to warn him as a concerned family friend; She saw him with a woman that was not his wife, and they were involved in an accident! The husband told his wife that, by the time her friend uses her 'mouth' to cause destruction in her life, then she would face the harsh reality! When the lady called her friend, she explained that she wanted to put fear in her husband as she does in hers. The lady then kept her distance from her. I was surprised that someone can lie about a dream so as to achieve a purpose and disregard a personal decision. What kind of friend is that? 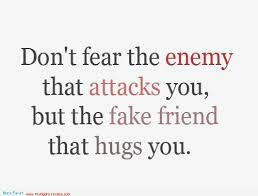 Infact, with friends like this, one don't need to look too far for foes! This story buttress what I have always said in my blog; Marriages differ! And some help ain't needed! It causes more harm than good!